As we prepare to light our hanukkiyot tomorrow evening and welcome in the Festival of Hanukkah, we find comfort in what these hanukkiyot represent. Jewish law is clear that one must light the hanukkiyah at the entrance of one’s home. It should be outside for all to see. Halakha, Jewish law, even stipulates that it needs be at a certain height so that passersby will be sure to see the flickering flames. More recently, it has become customary to place it in our homes in front of the windows, still on display for the public to see. 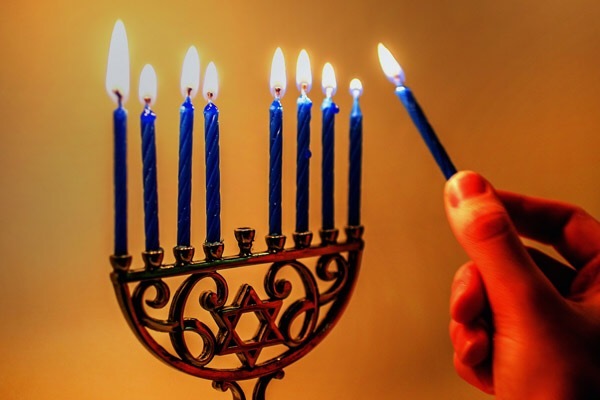 Unlike Shabbat candles which had a practical purpose of providing light when it was dark, Hanukkah candles are not meant to be used to illuminate the room. In fact, one was prohibited from using the light. We do not take advantage of the light. Rather, we display it. In doing so, we fulfill the mitzvah of Pirsum HaNisa, publicizing the miracle of Hanukkah. But the menorah serves another purpose: it adds light to the darkness, literally and metaphorically, when we so desperately need it. Furthermore, publicly displaying such a ritual object declares that we will never be afraid of who we are or hide what we believe. Twenty-five years ago during Hanukkah in Billings, Montana, a brick was thrown through five-year-old Isaac Schnitzer’s window, where he’d displayed his hanukkiyah. The local paper, the Billings Gazette, responded by printing a full-page picture of a menorah, asking residents to stand united against hate and display these menorahs in their windows. While the Jewish community made up less than 1% of Billing’s population, Christian, Muslim, and Indigenous residents of the city displayed menorahs in their windows, to publicize not just the miracle of Hanukkah, but their commitment to stand united against all forms of hate. We light our hanukkiyot this year when it feels especially dark. 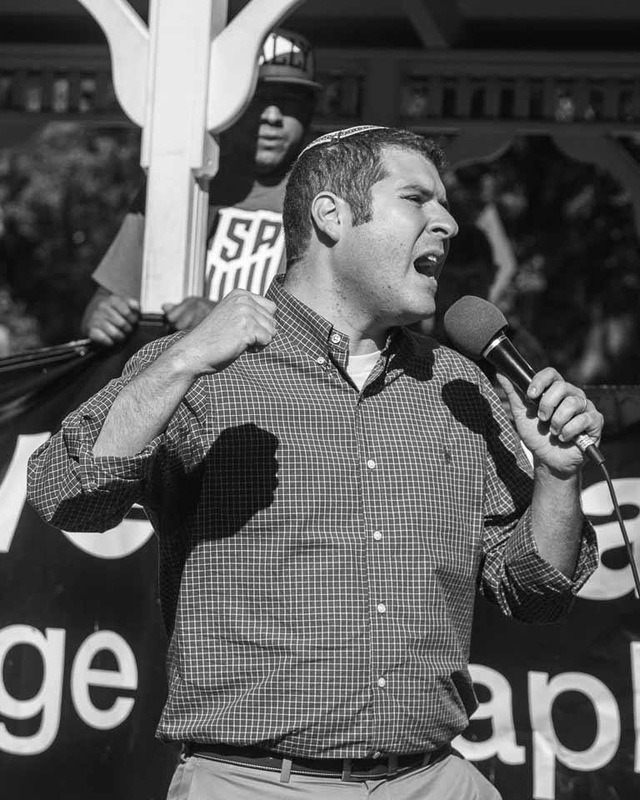 We just concluded Sheloshim, the month-long mourning process, for the Tree of Life synagogue community in Pittsburgh, and we are well-aware that Anti-Semitism, and bigotry of all kinds, is on the rise. But let us not hide our hanukkiyot. Let us display them proudly and publicly. Place them in your window this year for all to see and let the lights of the hanukkiyah spread. May we never feel afraid to do so. May we celebrate doing so. And may we, together, light up the darkness for all those who need light. You can’t go to the midnight opening showing of Episode VIII without understanding the seven Star Wars movies that have come before it. Similarly, as amazing as the events of Parashat Mikketz are, you can’t truly appreciate them without understanding them in relation to Parashat Vayeshev. The rabbis believed that no word in the Torah was superfluous. So then why the need to say both? If we know the pit was empty, then why also stipulate that there was no water in it? Rashi tries to clarify and says there were snakes and scorpions in the pit, which of course there’s no justification for, and makes no sense if the Torah already said the pit was empty. I believe that calling the pit empty was a reflection of how Joseph felt at that moment. He felt empty, alone, lost, and by himself, with no one and nothing to guide him. In Mesechet Taanit, the Talmud refers to Torah as water. Our commentators thus suggest that “there was no water in it” means that Joseph was in an empty pit, without Torah. He did not have the ethics and values to guide him and he did not know what to do next. He was stuck in a hole and there was nobody there to help him out. Yet, after all of that, what happens in Parashat Mikketz is really miraculous. After being abandoned by his brothers, after being framed by Potiphar’s wife, after being forgotten in prison by those that he helped save, Joseph is called upon to interpret Pharaoh’s dreams. I believe what he does next is not just out of fear of Pharaoh or a sense of obligation to do what Pharaoh asks. Joseph doesn’t just interpret Pharaoh’s dreams. Joseph ends up saving an entire population from famine, from food insecurity. He was in that empty pit – literally – and lost – metaphorically – and he turns around and is able to save everyone. When Pharaoh, and all of Egypt, are lost and similarly in their own empty pit, Joseph knows that experience and is able to help them out. Joseph had been down that hole of hopelessness. When he sees Pharaoh and Egypt stuck in the same hole, he doesn’t take charge and action because he sees an opportunity for his dreams to be fulfilled, for him to rise in power and prominence. He does so because he was in that hole before, empty and devoid of the values to guide us on our path, and he knew what it felt like, so he jumped in to help Egypt out of that hole. The essence of Chanukah, of placing the light of our chanukiyot in our windows, is a powerful message. We are actually prohibited from using that light to benefit us. Shabbat candles had a practical purpose. You lit candles as it went dark, and you used that light to light up the room, the dinner table, etc. You can read by the candle light, and when the candles burn out, it is dark and time for bed. But the Talmud stipulates that you can’t use the light of the Chanukah candles for your own benefit. They are solely meant to go in our windows to follow the commandment of pirsum hanes, to publicize the miracle. 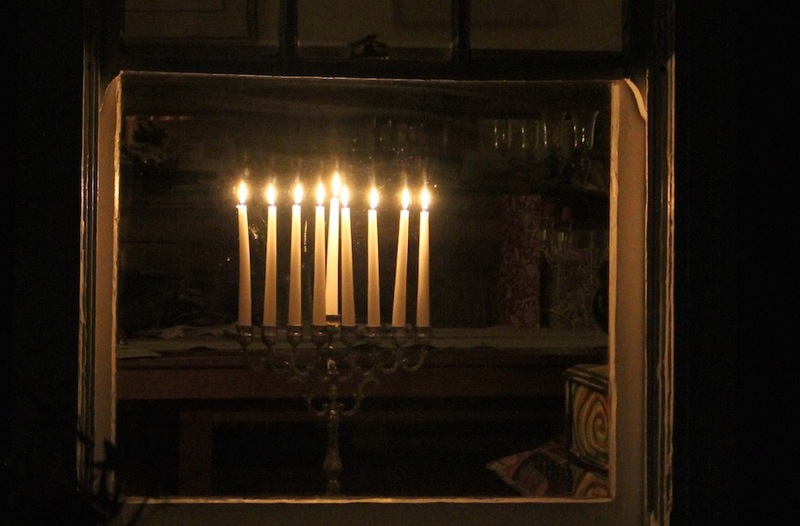 But more so than that, we place the menorah in our windows to share our light with those who need it most. We light up the darkness that others are feeling. Because we have been there. We have been in that dark place before. That is why we are taught to increase the number of candles each night of Chanukah, to always add more light to the darkness. That is our challenge and that is our goal. That is what Joseph did. He was there. And so he knew what it felt like. And that is our goal too! We have been in this hole before. So when we experience someone else struggling with darkness, we put our menorahs in the window. 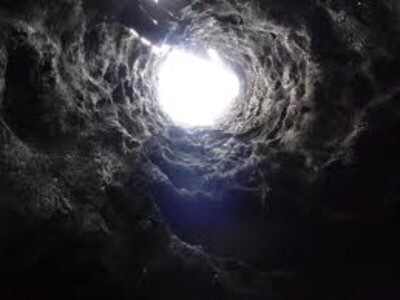 We jump down the hole with them, because we know the way out. The Chanukiyah, the Chanukah Menorah, serves more than just a ritual purpose. We are taught that when we light the Menorah, we should place it in the window for all to see. By doing so, we fulfill the mitzvah of Pirsum HaNes — of publicizing the Chanukah miracle. During the winter solstice, at the darkest point in the year, the flames of the Menorah add light to the darkness. The Talmud mentions how Rabbi Shammai and Rabbi Hillel debated the proper way to light the Menorah. But regardless of their differing perspectives, there was universal agreement that you use a shamash, a helper candle, to light all the other candles. To this day, the shamash is on a different level than all the other candles of the Menorah, emphasizing its significance. We look around the world and it is easy to be consumed by the darkness of society. But doing so means that we forget the miracles that surround us everyday. On Chanukah, we don’t only celebrate the miraculous military victory of the Maccabees, or even the miracle of oil burning for eight nights. The miracle of Chanukah is to appreciate the miracles in our lives, despite the darkness that we all too often may feel or experience. When we celebrate the miracles in our lives, no matter how large or small they may be, we also understand our responsibility to be a metaphorical shamash. With each day, the light of the Menorah increases, until all nine candles (including the shamash) burn on the final night of the festival. The use of the shamash reminds us how easy it is to light up the darkness. Just as the light of the shamash spreads to other candles and quickly illuminates the night, we must also be the initial spark to illuminate the darkness, helping to inspire and enlighten others. May we appreciate the miracles of old and the miracles in our everyday lives. And may we never stop trying to light up the darkness. Chag Urim Sameach! Wishing you a joyous and inspiring Chanukah!